Many organizations and individual businessmen face fraud each year due to their employees or business partners. New entrepreneur start-ups and small businesses are more vulnerable. Risk of fraud has increased due to the advancement of technology and progressive development of the world into a global village. The increased awareness of technological development and complex organizational structure requires corporations to incorporate internal anti-fraud approaches to combat fraud. According to 2014 research reports by global nation, organizations face 5 % loss due to fraud each year, in which 85 % of serious fraud cases were committed by internal employees. Organizations should develop multi-layered fraud prevention strategies while keeping these statistics in view. Eliminate all loopholes that facilitate employees by implementing these six fraud prevention strategies. Corporate culture defines procedures and policies which govern employees. The organizational structure of reporting systems, the accountable person, their segregation of duties, job responsibilities and limitations should be clearly defined. Hire the right employee by investigating their past employment history and educational background. All employees should know the tactical approaches which exist in their organization to prevent fraud. A documented policy which defines fraud, its prevention, and detection policies should be implemented after proper training of all employees. Any kind of leniency or flexibility in misconduct or suspicious activities should be avoided. As this ignorance will lead to the violation of policies, indirectly encouraging employees to plan a fraud. A zero tolerance policy of all kinds of fraud should be communicated to employees. They should also aware of actions which would be taken in case of fraud. An internal control of systems and organization define the plans to prevent the company and its assets from any kind of fraud and theft. This system should be revised frequently to analyze its effectiveness. It should be regularly updated according to the new needs, development, and advancements of it’s company. Internal controls should clearly define accountability and compliance. Documentation is the integral part of an internal control system and the most important tactic for fraud prevention. All procedures and transactions should be documented to minimize fraud. Every expense should be approved and countersigned by a managerial level employee so that the validity of receipts and expenses can be ensured. Restrict all physical and technical approaches to documents and information. An independent audit team should be contracted to conduct regular as well as surprise audits to check inventory and cash situations. Checking of vacation balances should be mandatory as well. Annual and quarterly audits should be monitored by the audit committee. Results of any internal audit should also be validated by this team. 29% of all fraud cases are detected by audit teams, a report says. This team is well aware of risk factors for fraud and policies to prevent fraud. They also monitor the policies to be strictly followed to prevent the more risky procedures. An effective reporting system should be developed. All employees should know how and where to report any suspicious activity. There should be an anonymous reporting system to report fraudulent cases because many employees are hesitant and reluctant to disclose their identity while reporting others. All employees should be aware of the fraud prevention and the company’s reporting system. And, they should be encouraged to report anything they find suspicious. According to a report, 40% of fraud cases are detected by a tip given by employees. Checking vacation balances should be mandatory. Vacation provides a chance of fraud in the business. Bookkeeping may be tampered by the bookkeeper during vacations or checks may be stolen during stressful times such as the holiday season. Certified fraud examiners could be hired as a part of a fraud prevention program. They play a vital role in generating and implementing fraud policies. They provide consultancy against internal control audit systems and detection of fraud. 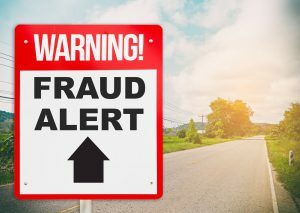 Fraud in business can result in major financial loss, wastage of time, and a ruined reputation. Implementation of multilayered fraud risk strategies leads to a successful strategic business corporate organization.